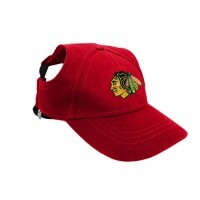 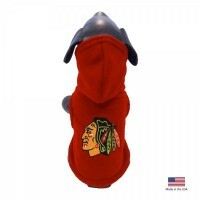 This Chicago Blackhawks water resistant reflective dog jacket, is officially licensed by NHL and made with a water resistant poly shell with a fleece lining to keep your pet comfortable, warm and dry. 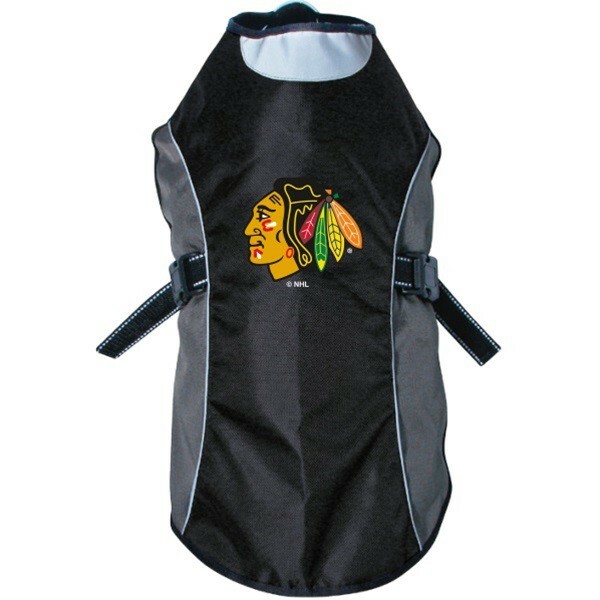 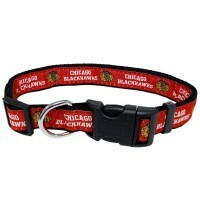 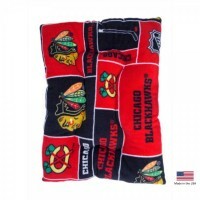 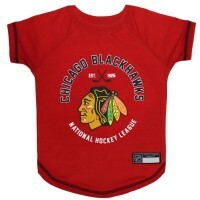 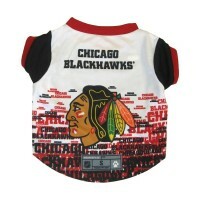 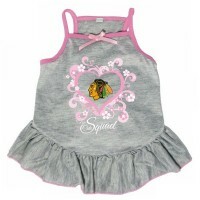 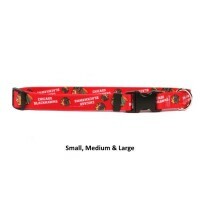 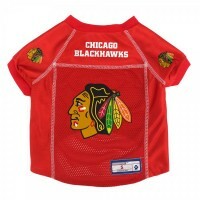 This pet jacket features reflective piping and stripes for your pet's safety and a logo of the Chicago Blackhawks. 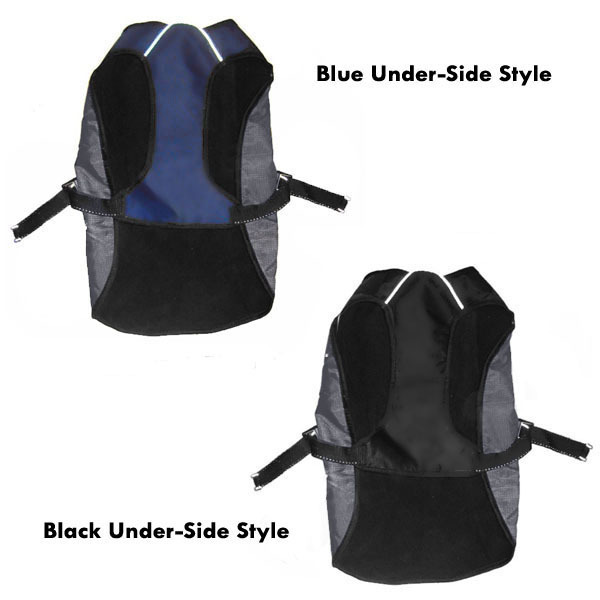 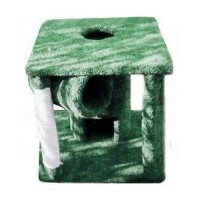 Jacket slips on over your pet's head and cinches with two plastic clasps on side straps for an secure fit and easy removal.